← The Third Gateway to the Heart: the Thoughts-Part 6: The Spiritual War Cry: Lead Captive Every Thought to Christ! 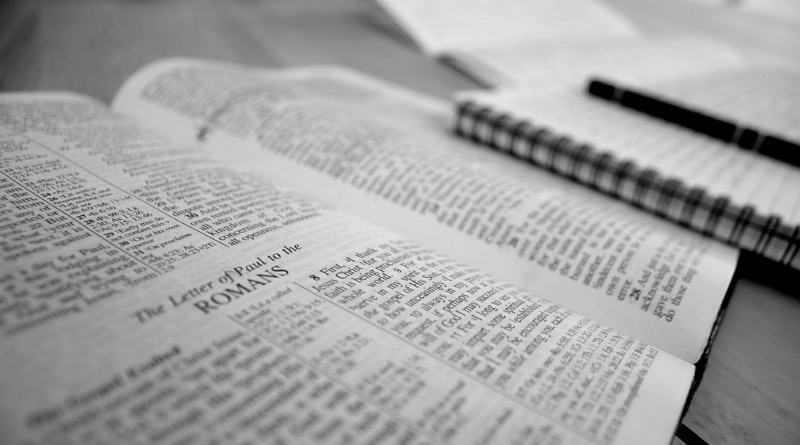 Intensify Your Study of Scriptures and Make God Smile: Rightly Divide the Word of Truth! 2 Timothy 2:15 (NASB): Be diligent to present yourself approved to God as a workman who does not need to be ashamed, accurately handling the word of truth. Wuest = “Bend your every effort”. Spoudazo is in the aorist imperative, a command to do this now. Don’t delay. Do it effectively. Demonstrate a zealous persistence to accomplish an objective. ”Do your utmost for His highest’! It is vitally important that we understand Paul’s charge to “Just Do It!” Paul is not seeking to put us under the burden of the law but quite to the contrary he expects us to submit to the Spirit of Grace (Heb 10:29), the only One Who can enable us to keep this command. Stated another way ,God’s commandments always come “pre-packaged” with His enablement (His “Enabler” the indwelling Spirit)! This command can only be obeyed as we are yield to the indwelling Spirit Who continually “energizes” us Php 2:13NLT–note! Therefore it is imperative (pun intended) that we stay filled! (Eph 5:18–note! – even the desire to stay filled is “paradoxically possible” only by the Spirit! Oh, what a divine delightful mystery!) Daily filled we must daily walk by the Spirit (Gal 5:16–note) not grieving Him (Eph 4:30–note) or quenching Him (1Th 5:19–note). Then we can be diligent! Study of God’s Word takes effort! Inductive Bible study is the most difficult Bible study I have have ever done has also been by far the most rewarding and edifying. Spoudazo – 11v in NT – Gal 2:10; Ep 4:3; 1Th. 2:17; 2Ti 2:15; 2Ti 4:9, 2Ti 4:21; Titus 3:12; He 4:11; 2Pe 1:10, 2Pe 1:15; 3:14. NAS renders as – diligent(6), eager(2), make every effort(3). In other words spoudazo does not stop with affecting one’s state of mind, but also affects one’s activity. Every Christian teacher and preacher should be able to say, “Just as we have been approved by God to be entrusted with the gospel, so we speak, not as pleasing men but God, who examines our hearts (1Thes 2:4–note). Charles Kingsley – Have thy tools ready; God will find thee work. Paristemi – 40v in NT (study the uses especially in Romans) – Matt. 26:53; Mk. 4:29; 14:47, 69, 70; 15:35, 39; Lk. 1:19; 2:22; 19:24; Jn. 18:22; 19:26; Acts 1:3, 10; 4:10, 26; 9:39, 41; 23:2, 4, 24, 33; 24:13; 27:23f; Rom. 6:13, 16, 19; 12:1; 14:10; 16:2; 1 Co. 8:8; 2 Co. 4:14; 11:2; Eph. 5:27; Col. 1:22, 28; 2 Tim. 2:15; 4:17, 22. NAS renders paristemias -bystanders(5), come(1), commend(1), help(1), present(11), presented(4), presenting(1),prove(1), provide(1), put at My disposal(1), stand before(2), standing(2), standing beside(1), standing nearby(1), stands(1),stands here(1), stood(2), stood before(1), stood beside(2), took their stand(1). Note that this judgment has to do with a believer’s service, not his sins (1Co 3:11, 12, 13, 14, 15). It is a time of review and reward, and is not to be confused with the Judgment of the Gentile nations (Mt 25:31, 32, 33, 34, 35, 36, 37, 38, 39, 40, 41, 42, 43, 44, 45, 46) or the Judgment of the Great White Throne (Rev 20:11, 12, 13, 14, 15–notes). The latter is the final judgment of all the wicked dead. Approved (1384) (dokimos from dokime = test, proof, trial = idea is that when you put metal through a fiery testing and it comes out on the other side enduring it “proven”, “authentic” or “genuine” Click discussion of related word dokimazo and the antonym = adokimos) describes one who has stood the test. Dokimos is the word describing money which is genuine or as we would say sterling (silver) [sterling = conforming to the highest standard]. In other words, a persons must first be “proved” before being “approved”. One so approved is assayed by the One Who has eyes like flames of fire (Rev 1:14–note) yet passes this scrutiny and is counted as worthy. Richards writes that dokimos “is used in the NT in the sense of recognition, of being officially approved and accepted. Comment: O, that the “tribe” of Apelles might increase for whatever it was he did in the way of ministry and service, it was done in the sphere of [sufficiency of, power of, grace of] Christ, allowing Christ to live out His supernatural life through him. Apelles understood the vital principle Jesus taught in John 15:5 that “if you abide in Me and I abide in you shall bear much fruit for apart from Me you can do absolutely nothing that will pass the test.” The “works” of Apelles will be tried by fire in 1 Corinthians 3:13-14 and even as pure gold will be found to pass the test of purity in the eyes of the Refiner. May God be pleased to raise up many Apelles in the modern church in America. Amen. 1 Corinthians 11:19 For there must also be factions among you, in order that those who are approvedmay have become evident among you. Genesis 23:16 And Abraham listened to Ephron; and Abraham weighed out for Ephron the silver which he had named in the hearing of the sons of Heth, four hundred shekels of silver, commercial standard (Lxx = “approved [dokimos] with merchants”. 2 Chronicles 9:17 Moreover, the king made a great throne of ivory and overlaid it with pure (Hebrew = tahor = pure, clean, genuine – used ninety times in the Old Testament, primarily to distinguish things that were culturally pure, capable of being used in, or taking part in the religious rituals of Israel; Lxx = dokimos) gold. Liddell-Scott – (I) a workman: esp. one who works the soil, a husbandman, Herodotus, the country-folk. 2. as Adj. hard-working, strenuous, Xenophon (II). one who practices an art, c. gen., Id. (II) a doer, worker, Sophocles, Xenophon. Ergates – 16x in 15v – not found in non-apocryphal Septuagint (“evildoer” in 1Macc 3:6). Matthew 20:1 “For the kingdom of heaven is like a landowner who went out early in the morning to hire laborers for his vineyard. 2 “When he had agreed with the laborers for a denarius for the day, he sent them into his vineyard. Luke 10:2 And He was saying to them, “The harvest is plentiful, but the laborers are few; therefore beseech the Lord of the harvest to send out laborers into His harvest. Comment: Jesus is just – these individuals just don’t accidentally (or unintentionally) fall into sin, but actually “work at” committing sin. Their punishment (eternal damnation) fits their crime (“tireless” evil workers). Acts 19:25 these he gathered together with the workmen of similar trades, and said, “Men, you know that our prosperity depends upon this business. Life is too short for us to do everything we want to do; but it is long enough for us to do everything God wants us to do. – Anon. Matthew 20:1 “For the kingdom of heaven is like a landowner who went out early in the morning to hire laborers for his vineyard. Matthew 20:2 “And when he had agreed with the laborers for a denarius for the day, he sent them into his vineyard. Luke 10:7 “And stay in that house, eating and drinking what they give you; for the laborer is worthy of his wages. Do not keep moving from house to house. The Word of Truth is the workman’s tool for building, measuring, and repairing God’s people. Carriers of the truth of God are to represent that truth and the God of truth well enough that we need never apologize for ourselves. God wants His people to be well prepared in the interpretation of God’s truth. The messenger who interprets God’s truth for others is an agent of His revelation. Not…ashamed (422) (anepaischuntos from a = without + epaischúnomai = be ashamed) describes the absence of a painful emotion caused by consciousness of guilt, shortcoming, or impropriety. Diligence in handling the Word now prevents one from one day having to stand before God and experience the painful feeling arising from the consciousness of having done something dishonorable with the Word of Truth. Let us always seek to Be Bereans – Acts 17:11. The present tense calls for us to continually rightly divide the Word of Truth. We are to take no short cuts or vacations when it comes to handling God’s Worth in a trustworthy manner. Every time you teach or preach God’s Word of truth you must seek by the Spirit’s illumination and the enabling grace of Christ to cut the Word of Truth straight. In marked contrast are the false teachers who twist the Scriptures to their temporal benefit and their and their hearers eternal detriment! “Therefore thy servant loveth it,” which is a proof that he himself was pure in heart, for only those who are pure love God’s word because of its purity. His heart was knit to the word because of its glorious holiness and truth. He admired it, delighted in it, sought to practise it, and longed to come under its purifying power. George Horne – Thy word is very pure. In the original, “tried, purified, like gold in the furnace,” absolutely perfect, without the dross vanity and fallibility, which runs through human writings. The more we try the promises, the surer we shall find them. Pure gold is so fixed, Boerhaave, informs us of an ounce of it set in the eye of a glass furnace for two months, without losing a single grain. John Morison – Thy word is very pure; therefore, etc. The word of God is not only “pure,” free from all base admixture, but it is a purifier; it cleanses from sin and guilt every heart with which into comes into contact. “Now ye are clean,” said Jesus Christ to his disciples, “by the word which I have spoken unto you”: John 15:3. It is this its pure quality combined with its tendency to purify every nature that yields to its holy influence, that endears it to every child of God. Here it is that he finds those views of the divine character, those promises, those precepts, those representations of the deformity of sin, of the beauty of holiness, which lead him, above all things, to seek conformity to the divine image. A child of God in his best moments does not wish the word of God brought down to a level with his own imperfect character, but desires rather that his character may be gradually raised to a conformity to that blessed word. Because it is altogether pure, and because it tends to convey to those who make it their constant study a measure of its own purity, the child of God loves it, and delights to meditate in it day and night. Let us refresh our minds and our memories with some of the Scripture adjuncts connected with “the word,” and realize, in some degree at least, the manifold relations which it bears both to God and our souls. It is called “the word of Christ,” because much of it was given by him, and it all bears testimony to him…It is called “the word of his grace,” because the glorious theme on which it loves to expatiate is grace, and especially grace as it is seen in Christ’s dying love for sinful men. It is called ololoj tou staurou, “the word of the cross” (1 Corinthians 1:18), because in the crucifixion of the divine Redeemer we see eternal mercy in its brightest lustre. It is called “the word of the gospel,” because it brings glad tidings of great joy to all nations. It is called “the word of the kingdom,” because it holds out to all believers the hope of an everlasting kingdom of righteousness and peace. It is called “the word of salvation,” because the purpose for which it was given is the salvation of sinners. It is called “the word of truth,” because, as Chillingworth says, it has God for its author, salvation for its end, and truth without mixture of error for its contents. And we will only add, it is called “the word of life,” because it reveals to a sinful, perishing world the doctrines of life and immortality. — IV. Graham, in “A Commentary on the First Epistle of John,” 1857. Rightly Dividing The Word – In 1879, James Murray was hired as the editor of The Oxford English Dictionary. He had little advanced education, but he was a gifted linguist. Murray enlisted a large number of volunteers around the world to read widely and send him usages of assigned words. At Oxford, he and a small staff of scholars cataloged and edited the definitions they received. Imagine That! – My friends and I were anticipating a contemplative time looking at a collection of artwork about the prodigal son who returned home to a forgiving father (Luke 15). When we arrived at the information table, we noticed the brochures, books, and a sign pointing to the artwork. Think of God’s Word of Truth as the “sun” (Son) and then consider how the planets function in such order as they rotate around the sun. In a similar way believers should live their entire Christian life within the orbit of God’s Word of Truth, ultimately manifest in the Logos, His precious Son, Our Lord and King. Amen. Pleased with its mirrored revelations — self, heaven, God. (c) Zeal for its honour and diffusion. –W.H.J.P. Word (3056) (logos from légō = to speak with words; English = logic, logical) means something said and describes a communication whereby the mind finds expression in words. Although Lógos is most often translated word which Webster defines as “something that is said, a statement, an utterance”, the Greek understanding of lógos is somewhat more complex. In the Greek mind and as used by secular and philosophical Greek writers, lógos did not mean merely the name of an object but was an expression of the thought behind that object’s name. Let me illustrate this somewhat subtle nuance in the meaning of lógos with an example from the Septuagint (LXX) (Greek of the Hebrew OT) in which lógos is used in the well known phrase the Ten Commandments. The Septuagint translates this phrase using the word lógos as “the ten (deka) words (logoi)” (Ex 34:28), this phrase giving us the familiar term Decalogue. Clearly each of the “Ten Commandments” is not just words but words which express a thought or concept behind those words. This then is the essence of the meaning of lógos and so it should not be surprising that depending on the context lógos is translated with words such as “saying, instruction, message, news, preaching, question, statement, teaching, etc”. This understanding of lógos also helps understand John’s repeated usage of this Greek word as a synonym for the second Person of the Godhead, the Lord Jesus Christ. Truth (225) (aletheia from a = indicates following word has the opposite meaning ~ without + lanthano = to be hidden or concealed, to escape notice, cp our English “latent” from Latin = to lie hidden) has the literal sense of that which contains nothing hidden. Aletheia is that which is not concealed. Aletheia is that which that is seen or expressed as it really is (this idea is discussed more below). The basic understanding of aletheia is that it is the manifestation of a hidden reality (eg, click discussion of Jesus as “the Truth”). For example, when you are a witness in a trial, the court attendant says “Raise your right hand. Do you swear that you will tell the truth and nothing but the truth so help you God?” And you say, “I do” and you sit down. The question the court attendant is asking is “Are you willing to come into this courtroom and manifest something that is hidden to us that only you know so that you will bear evidence to that?” Therefore when you speak the truth, you are manifesting a “hidden reality“. Does that make sense? An parallel example in Scripture is the case of the woman in the crowd who had touched Jesus (Read context = Mk 5:24-25, 26-27, 28-29, 30, 31-32), but when she became “aware of what had happened to her, came and fell down before Him, and told Him the whole truth ” (Mk 5:33) and nothing but the truth. She did not lie. She spoke no falsehoods. Truth then is the correspondence between a reality and a declaration which professes to set forth or describe the reality. To say it another way, words spoken or written are true when they correspond with objective reality. Persons and things are true when they correspond with their profession (which we describe with words like integrity, sincerity, non-hypocritical, etc). In other words, “what you see is what you get”. Hence a truth is a declaration which has corresponding reality, or a reality which is correctly set forth. Since God is Himself the great reality, that which correctly sets forth His nature is pre-eminently the Truth of Creation (Natural Revelation) and the Truth of Scripture (Special Revelation). Thus it is not surprising that rebellious, sinful men actively hold down or suppress the Truth of Creation (and the glorious Creator) (Ro 1:18) and even exchange this clearly manifested (and objective) reality (Creation) for a lie (Ro 1:25). Charles Simeon wrote that “truth is a conformity of our feelings and actions to our professions and this God requires of us in the whole of our spirit and conduct. Truth is the correspondence between a reality and a declaration which professes to set it forth. Words are truewhen they correspond with objective reality: Persons and things are true when they correspond with their profession. Hence a truth is a declaration which has corresponding reality, or a reality which is correctly set forth. Since God is Himself the great reality, that which correctly sets forth His nature is pre-eminently the Truth. Ultimately Jesus is “the Truth” and He is “the Word”. Aletheia speaks of veracity, reality, sincerity, accuracy, integrity (“what you see is what you get”). Comment: How fascinating that the pagans had within them (surely placed there by God) a sense of the importance of truth in order to assure a genuine appreciation of this present life. So close but yet so far for they did not know “the Truth” (Jn 14:6)! Whatever God says is truth and so is to be regarded as the standard of all truth. In Christ’s high priestly prayer, He declares that the Word of God is truth (John 17:17). In other words, the Word of God does not just contain truth (which of course it does), but is truth in its very essence. Truth is seen mainly by contrast. It contrasts with a lie of statement or understatement. Another contrast is seen between truth and exaggeration. Finally, truth stands out in contrast with appearance…. Aletheia is a key word in the Gospel of John (24x or almost 1 in 4 NT uses – also 28x in John’s epistles – 1Jn =16, 2Jn=5, 3Jn=7) but is much less common in the synoptic Gospels (7x in all 3 Synoptics). Note the association of aletheia with the Gospel (Col 1:5, Gal 2:5, Ep 1:13). The Gospel is the expression of truth, ultimately the truth about God, the truth about man in sin and the truth about the provision of redemption from our sinful state. Although 1Ti 2:4 and 2Ti 2:25 do not use the word “Gospel”, clearly the context of both passages associates salvation (which comes only through the Gospel) and the knowledge of the truth. Sadly, truth can be turned aside from (2Ti 2:18) or resisted (2Ti 3:8). To turn from the truth of the Gospel does not make it any less true! This entry was posted in Bible Teachings, Inspirational Messages and tagged apologetics, approved of God, bible, Bible study, Christians, eternity, God, God-breathed, Jesus, jot or tittle, logos, motivation, presence of god, redeem the time, rightly dividing, Scripture, secularism, spoude, stand, study, sword of the spirit, truth, understanding, widom, word of truth, workman, world. Bookmark the permalink.